Noble Partner 16 kicked off with an opening ceremony, May 11, Vaziani Training Area, Georgia. 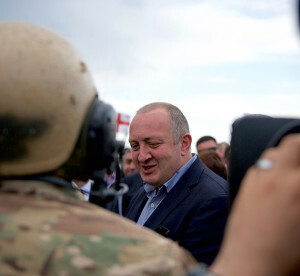 The ceremony included static displays of multinational Soldiers and their equipment, airborne operations and speeches from senior officials, including Georgian President Giorgi Margvelashvili. Exercise Noble Partner 16 kicked off, May 11, beginning the 14-day training featuring Soldiers assigned to 3rd Infantry Division, paratroopers assigned to the 173rd Airborne Brigade, Georgian soldiers assigned to 4th Armor Brigade and Soldiers from the United Kingdom 3d Rifles. 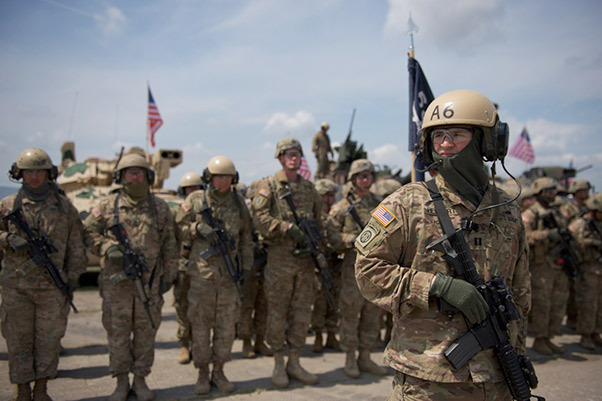 The exercise emphasizes U.S. Army Europe’s abilities to quickly move soldiers and equipment throughout Europe and operate together within a coalition in any potential future operation. Capt. Samuel Herbert, commander of Company A, 1st Battalion, 64th Armor Regiment, stands ready to begin the opening ceremony for Exercise Noble Partner 16, May 11, Vaziani Training Area, Georgia. The exercise is taking place May 11-26 and includes approximately 1,300 participants from Georgia, the U.K. and the U.S.
One of the Georgian companies participating in Noble Partner is part of the NATO Response Force, a highly ready and technologically advanced multinational force made up of land, air, maritime and special operations components. The future two-week training event is a critical part of Georgia’s training for its contribution of a light infantry company to the NATO Response Force and enhances Georgian territorial self-defense capability. While Georgia is not a member of NATO, it and other NATO partners voluntarily contribute to the NRF. Exercise Noble Partner provides an opportunity for the United States to continue its training relationship with the Georgian armed forces as the sponsor of Georgia’s participation in the NRF. Georgian President Giorgi Margvelashvili meets with U.S. 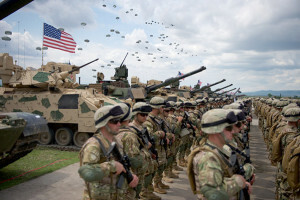 Soldiers, May 11, after the opening ceremony for Noble Partner 16, Vaziani Training Area, Georgia. “We are happy to host you in Georgia and to be part of the noble partnership,” Margvelashvili said. As the ceremony closed, guests were welcomed to take photos with the soldiers and look at the equipment on display. 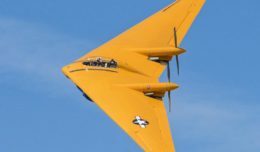 In addition, participation includes three C-130 “Hercules” aircraft from the 165 Airlift Wing, Georgia Air National Guard. Exercise Noble Partner will consist of a situational training exercise, a field training exercise and a live-fire exercise.